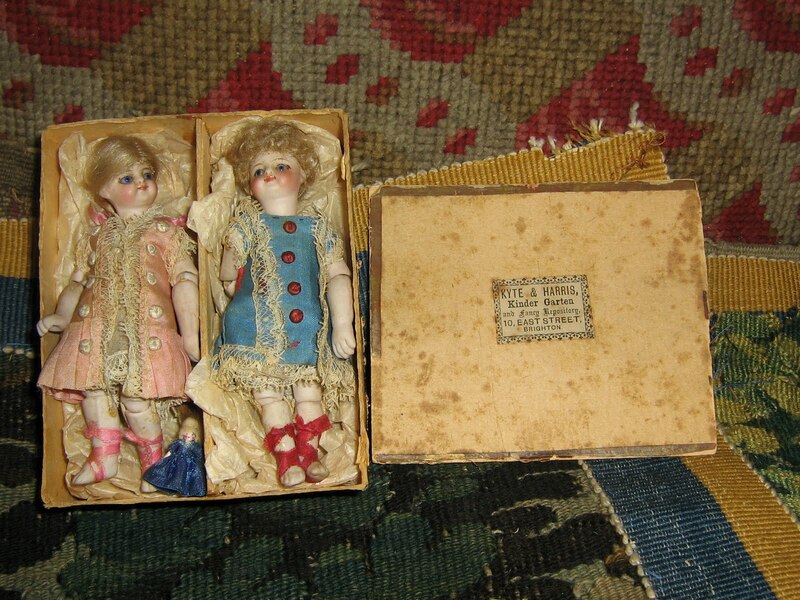 These two dolls were part of the Warner Collection sold at Christie's in January 2009. 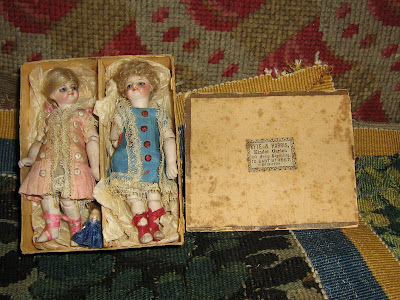 They are what is generally called Mignon dolls, these are believed to be French, but other people think they are German for the French Market. They normally have shoeless feet, where German dolls house dolls normally have a painted/moulded shoe or boot. These two are extra rare as they had knee and elbow joints. They were all in original clothes and an original retail box for a Brighton shop Kyte and Harris Kinder Garten, 10 East Street. They sold for an amazing £5,250.